We all want the most out of our supplements! To get the most authoritative information on IV Therapy and IV Treatments, I consulted with Dr. Jose Lizardi M.D. His experience in the field of alternative medicine made this difficult subject easy to understand. After thoroughly researching IV Therapy, I decided Suppositories are the most practical method of delivering vitamins to my system in the most direct way possible. The key takeaway from this article is that IV Infusions are incredibly effective and have a long list of benefits including lowering blood pressure and promoting weight loss. However, the effectiveness comes at an inconvenience. 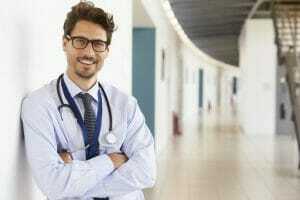 Not only do you have to find a doctor of alternative health care who is willing to write you a prescription, you have to take time out of your work day or weekend to sit in an office to receive the treatment. Dr. Jose Lizardi M.D. defines IV Therapy as the most effective tool to replenish a patient’s fluids and electrolytes. IV Infusion Therapy began as a hangover cure, as nutrients were depleted during large alcohol consumption. IV Treatments have become more popular as individuals are concerned about nutrient deficiency in their system. It has even been used to treat jet lag! The problem with capsules and liquids is that a large amount of their nutrient content is destroyed through gestation in the stomach. It is only with IV Therapy and Suppositories that a patient can receive more than what they lose in pills and liquids. His view is that Suppositories are the closest in bioavailability as they bypass the stomach and deposit medicine directly to the bloodstream. There are two different forms of IV Supplement: Intramuscular and Intravenous. Intramuscular vs. Intravenous: What is the difference? 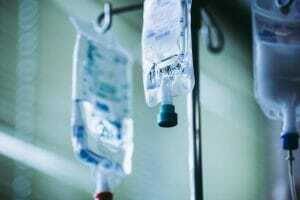 Why would you Need IV Infusion Therapy? There are 2 reasons why you would need infusion therapy. Doctor Lizardi recommends if you have 3 or more of these symptoms you may want to consider Infusion Therapy. We got the doctor’s perspective on the Pros and Cons of IV Therapy. My conversation with Dr. Lizardi covered 5 Benefits of IV that you should know. Intramuscular and Intravenous both guarantee you will receive the highest absorption compared to Capsule, Liquid or Suppository. The stomach will destroy much of the mineral content in Pill and Liquid supplements. Suppositories and IV Therapy deposit directly into the bloodstream, making it ideal for those with stomach issues or “leaky gut”. If your stomach cannot handle capsules or liquids, then IV infusion therapy might be your solution. One benefit that makes IV Therapy unique is your ability to customize treatments tailored to your medical conditions. Once your blood tests show which nutrients you lack, you can customize which nutrients you want to receive. The benefits of IV Therapy can include heavy metal detoxification, increased energy, quicker muscle recovery and hydrated skin. The fact that IV Therapy can help end feelings of fatigue is an impressive benefit by itself. Some IV Therapies can even remove plaque from arteries! Providing your system with 100% of the nutrients you need can give your immune system the strength required to fight off bacteria and infections. Replenishing your system with the essential nutrients, the antioxidant glutathione, and amino acids will help your body to recover from fatigue, promote anti aging, and begin performing at peak levels. You must either find registered nurses or a natural doctor who is willing to administer the treatment and monitor the IV fluid. Self Administration is incredibly dangerous, even life threatening. One thing to note is everyone’s chemical composition is different. The amount of vitamins you need will be different from the needs of another. For this reason, you must find a practitioner who knows what they are doing. Because you cannot administer the therapy yourself, you will need to take time out of your week to drive to a doctor’s office. Finding a Doctor who will write a prescription for IV Therapy is not simple or easy. Your best bet is to find a Doctor of Alternative Medicine who supports IV Therapy. Each round of IV Therapy can cost $200. IV Therapy is not a long term solution. It is primarily effective for dire situations when you need to boost levels of deficient vitamins and minerals in your system. Once you fix leaky gut, you can begin supplementing your nutrients from foods instead of IV therapy. Personally speaking, I do not like the limited accessibility of IV Therapy. Like most, I do not have the time in my week to sit in an office for IV Therapy. That is not to say I am not interested in the treatment, but it is not practically possible with my schedule. It seems like IV Therapy can significantly benefit those who need an immediate boost in a particular vitamin. I would like to experience IV Therapy in the future, but I believe the best route is to use supplements where the cons do not outweigh the pros. Suppositories do not need to be administered by a doctor or nurse. You can check out this article to know how to properly insert a suppository. Suppositories are more practical than IV Infusion Therapy. Unlike IV Therapy where you have to drive to a doctor’s office and work with a registered nurses, you can insert a suppository in the privacy of your own home. VitalTox, a premium suppository brand, starts at $129.99. That is cheaper than $200. Suppositories like those containing the Antioxidant Glutathione have powerful anti-aging and weight loss benefits. Thank you for taking the time to read Complete Review of IV Therapy: Ultimate Pros and Cons. Reach out to our free Health and Wellness Consultation Team headed by our Certified Health Consultant, Kurt LaCapruccia, D.S.S. (Diploma in Dietary Supplement Science). Your success is our passion!